What you don’t know about passports may negatively impact your trip! Whether this is your first trip outside of the United States or you’re a veteran world traveler, matters related to travel documents can be confusing. Here are some quick tips with links for additional information. “any site will do” when seeking information about passports. If you Google “getting U.S. passport,” you get tons of results. If you want the most up-to-date instructions, go to the Department of State: U.S. Passports & International Travel site. everything can be done online. While most forms can be filled out online and then printed, you have to get photos of a specific size and you must snail mail the information. In some cases, you need to apply in person. because your passport has expired, you must start the process from the beginning. Depending on when your passport expired, you may still be able to renew. a passport is all you need to enter a country. Some countries require visas that need to be applied for in advance. There are a few countries that require proof of certain immunizations. this is a fast process. Yes, it’s possible to pay (handsomely) for expedited service. Even then, there can be unexpected events: the federal government shuts down, there’s a huge weather event that affects transportation — not your personal travel, but the ability for the documents to reach you. Read the instructions carefully. Attention to detail now can save you time and money later. Go to a location that states that it takes “Passport Pictures” for your photos. Get two extra copies of your photos. You may need them for visas. You may also want to take them with you should something happen and you need to get your passport reissued while you’re overseas. Make copies of your passport. Take one copy with you. Leave one copy at home. Scan one copy and email it to yourself at an account you can access while you’re away. Renew your passport at year nine. 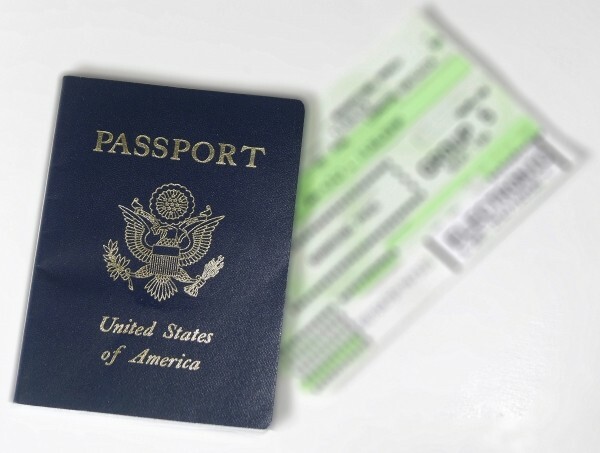 Your passport must be valid for six months following your arriving flight. I have a friend who travels extensively but was unaware of this stipulation. He was unable to leave Africa and return to the U.S. because his passport was expiring in five months. Consider applying for Global Entry if you travel abroad on a regular basis. See more information below. Renew your passport even if you don’t have upcoming travel plans. You never know when an awesome opportunity may arise. Also, a passport can be used as a back-up official identification. You may be aware of TSA Precheck. For this program, you complete an application and an interview. Upon finishing, you move more rapidly through security lanes in American airports because you aren’t required to remove your shoes, digital devices, liquids, belts, or light jackets. It is worth the $85 for five years if you travel frequently within the U.S. However, for $15 more, you can apply for Global Entry. This program grants quicker entry when returning to the U.S. from overseas. With Global Entry, you are automatically given TSA Precheck status if your Known Traveler Number is included in your original airline reservation. Additionally, there are also some international airports that have reciprocal agreements with Global Entry, allowing you to go through passport control more quickly. There are lots of aspects of travel that can’t be controlled. However, with a little effort, passports and other travel documents isn’t one of them.